Rebuilt RoadRanger transmissions in stock in every model. UltraShift LEP transmission parts, UltraShift LHP transmission parts, UltraShift HV transmission parts, AutoShift 18 transmission parts, rebuilt AutoShift 10 transmissions, Super 18 transmissions, rebuilt 15-Speed transmissions, rebuilt Super 13 Transmissions, rebuilt 9ALL transmission parts, FR series transmissions and parts, 8LL transmissions, Convertible 9 to 13 transmissions, rebuilt 5- & 6-speed transmissions and parts. We have a complete line of rebuilt Roadranger heavy duty truck manual transmissions, repair parts, rebuild kits and overhaul kits for your manual transmission manufactured by Roadranger. 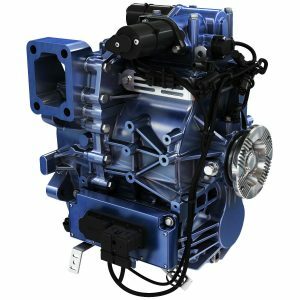 We can ship any rebuilt Roadranger transmission in 5, 6, 7, 8, 9, 10, 13, 15 and 18 speed models today. Hundreds of rebuilt transmissions in stock, all rebuilt models ready to ship or deliver today. The World leader in rebuilt truck transmission sales and parts. We ship rebuilt Roadranger transmissions to every Country and City Worldwide and have been in business doing so for over 28 years. One call does it all. Same day shipping available, worldwide. Contact us today at 877-776-4600. We pay top dollar for Roadranger transmission cores. We also buy closeout and overstock Roadrangerl Parts. As well as any and all drivetrain parts for all makes and models.